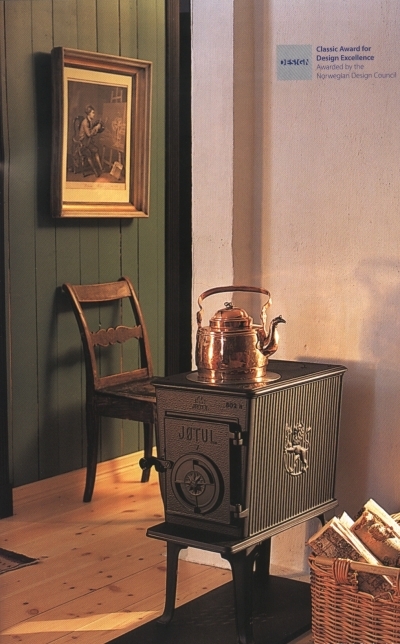 Jøtul's 'little giant'. This fashionable stove is perfectly suited to the smaller room, but is still capable of a nominal heat output of 6 kW's. Available in two versions, standard (Black paint only) with a solid cast iron door or cleanburn (Black paint and Blue-black enamel) with the addition of a decorative glass door to allow you to view the fire. Both options feature a useful hotplate, capable of boiling a kettle or cooking a casserole. No wonder 1.7 million have been sold worldwide.